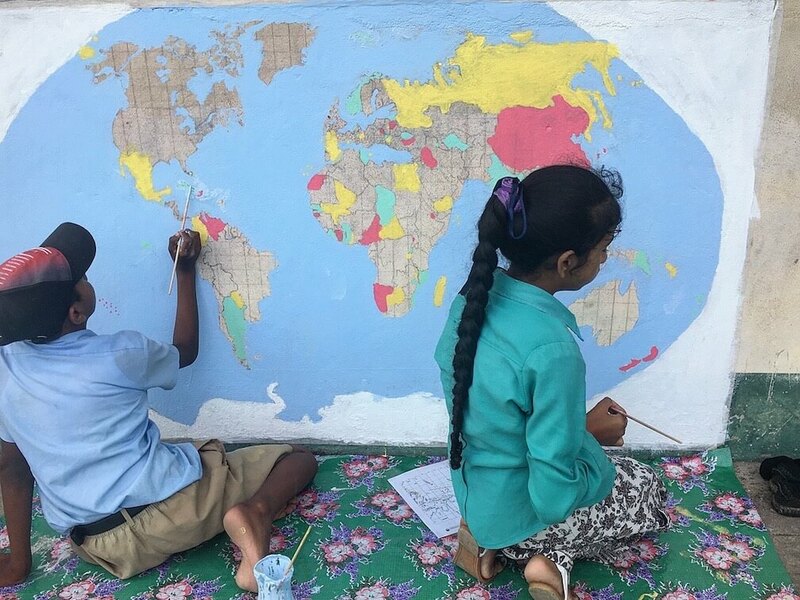 Kelsi Zeid is an Education PCV at Meten Meer Zorg Primary on the West Bank Demerara in Region 3. 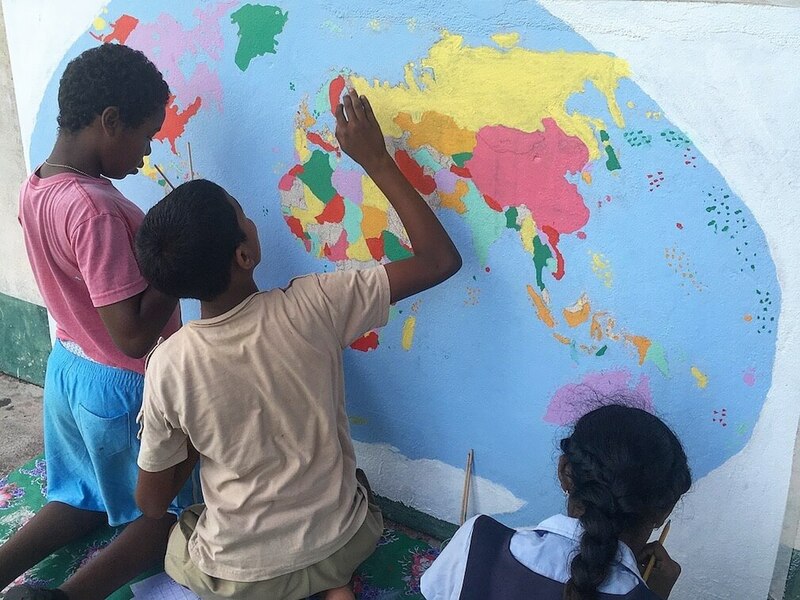 FROG gave Ms. Zeid a grant for extra paint and supplies which were used to complete the World Map Project with Grade 6 students this past term. 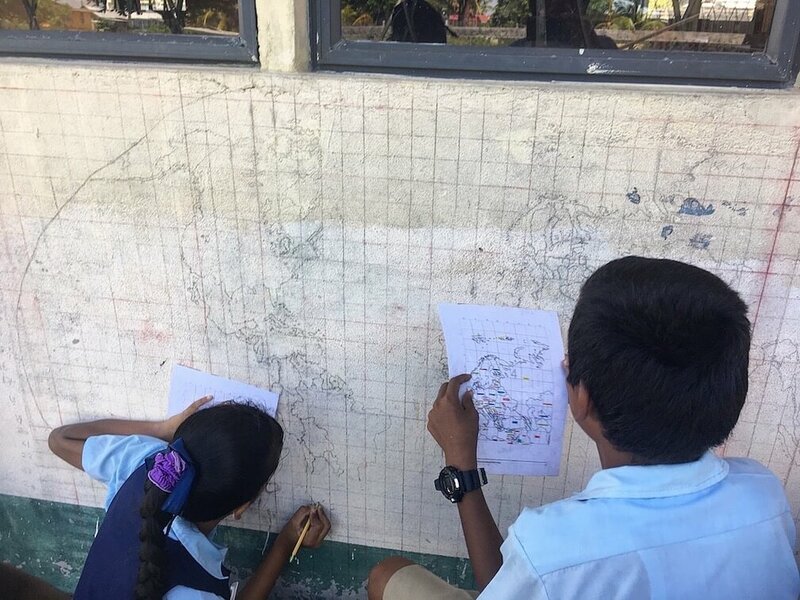 The mural project motivated the Grade 6 students to keep coming to school after completing their National Exams in April and gave them a sense of ownership over a project that will be an educational resource at the school for years to come. 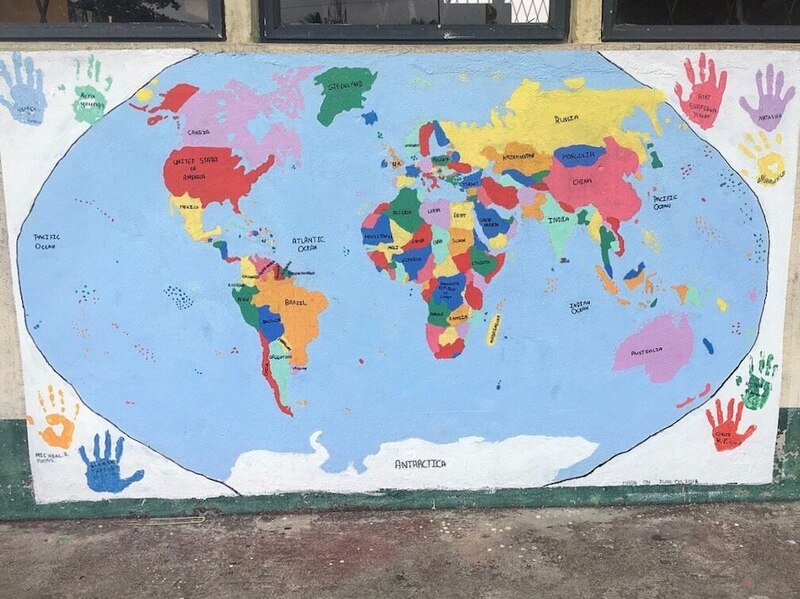 The security guard at the school noted over the weeks that they were working on the mural that this project was the first time in decades at the school that anyone had done something educational with Grade 6 after their National Exams. 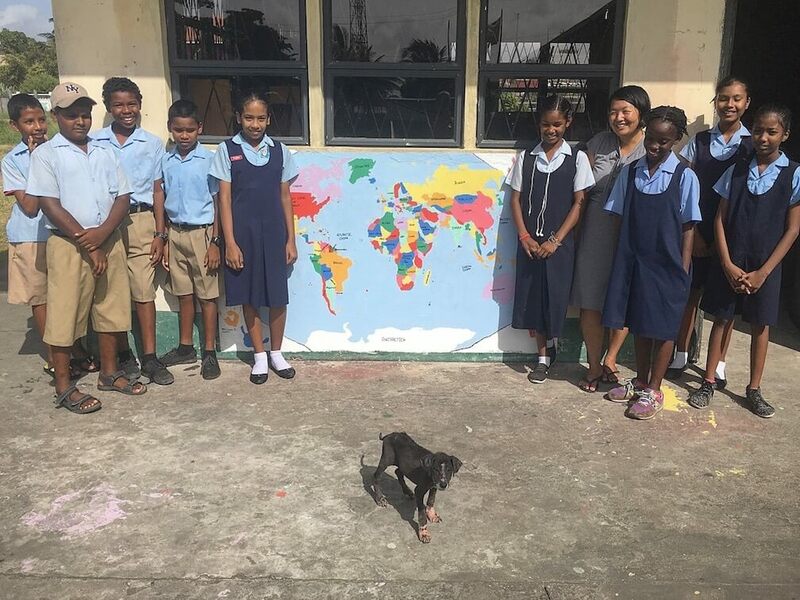 FROG and Ms. Zeid are very proud of the students for their work on the project, it was a big highlight of the school year.